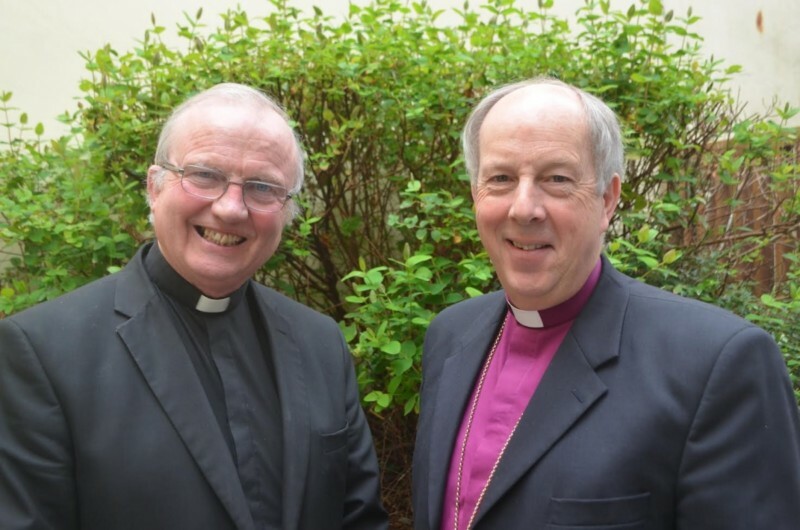 Bishop Donal McKeown, Bishop of Derry, and Bishop Ken Good, Bishop of Derry and Raphoe, will undertake a 30-mile joint walk from 27 to 29 April as part of a series of events to promote reconciliation in the community and highlight their shared Christian witness and heritage. The walk will be completed in three parts: on 27 April, the bishops will walk from Saint Columba’s birthplace in Gartan to Conwall Church of Ireland Church in Letterkenny; on 28 April, from Saint Eunan’s Cathedral, Letterkenny to Saint Aengus’ Church, Burt; and finally on 29 April, from Saint Aengus’ Church to Saint Augustine’s Church in Derry, which is believed to be the site of a sixth-century monastery founded by Saint Columba. As they walk, the bishops will meet people and visit places along the route, and pray with parishioners in local churches. The saint’s last recorded words to his community on Iona – ‘Preserve with each other sincere charity and peace’ – are inscribed on the large cross marking his birthplace in Gartan, and have been chosen by the bishops as a guiding theme for their pilgrimages.